Your custom Web site design needs to captivate its audience, intrigue them to go through the site, and cause them to react positively to your message. But most importantly, it needs to produce results. 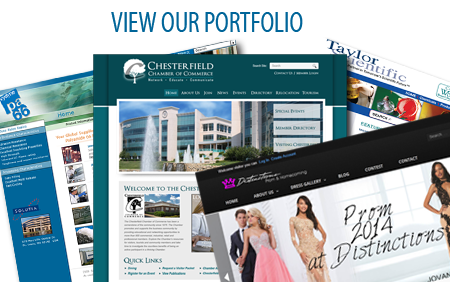 When a site visitor first enters your Web site, you want to convey a message using graphics, design, color, text and layout. That message should reflect your organization, evoke a feeling, and engage the visitor. Our experienced design team will create a custom design that reflects your organization and speaks to your target audience. Fading images, gliding text, dark backgrounds, rich colors…which elements are right for your site? After carefully analyzing these elements and others, we develop a custom Website design that is just right for your situation. Located in St. Louis, Missouri, we assist companies nation wide. View our portfolio to see samples of our custom designs. Contact us today for Search engine Optimization (SEO), Adwords & Search Engine Marketing, Internet marketing, Website localization and Website design.